We still have an annoyingly long time to wait before we get to see any real BlackBerry 10 devices, so concepts are pretty much the only option available to us. 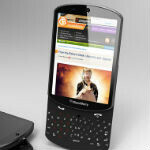 This concept is one that looks pretty sweet, especially if you like the more classic BlackBerry style. Of course, we won't be seeing a model like this anytime in the near future as RIM has reportedly scrapped the Milan, which would have had a physical keyboard, in favor of just the singular BlackBerry London with a full touchscreen. The concept itself looks quite nice. It was designed by Jon Anastasiadis who certainly went pretty deep into the small details of the device. The concept is for a slider phone with a touchscreen and physical keyboard, something close to a highly updated BlackBerry Torch. Anastasiadis added a micro trackpad just above the T and Y keys on the keyboard, which seems like a nice idea, but might be a bit too small for functional use. I am tapping this out on my much loved and still fully functional 9800. Main gripe I had with this device was the gutless 624 mhz processor. Never able to get a 9810. Keyboard is very good,never had a problem with it and much more preferable to my 9860 touch screen affair. A bigger screen, atleast 4" plus is mandatory nowadays. Also a decent battery even if it means offering an optional,bulgy setup that could be made to mould cup shape into the hand. I know. So wanted one when I had to replace my old curve. Ended up with the Palm.Pre Plus, also underpowered and smaller than the Torch. 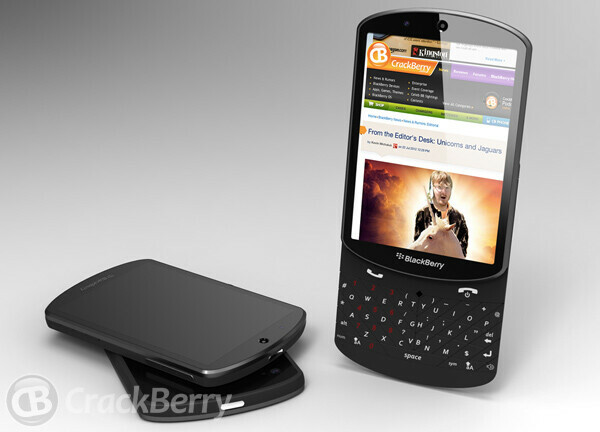 Wonder if I would still be a CrackBerry fan had I grabbed one. Glad it is holding tuff for you!! The only design flaw I see here is the track-pad, or its location for that matter... To avoid brushes and accidental touches, it should be located where the "blackberry" name is. Or it is totally unnecessary and just drop it.